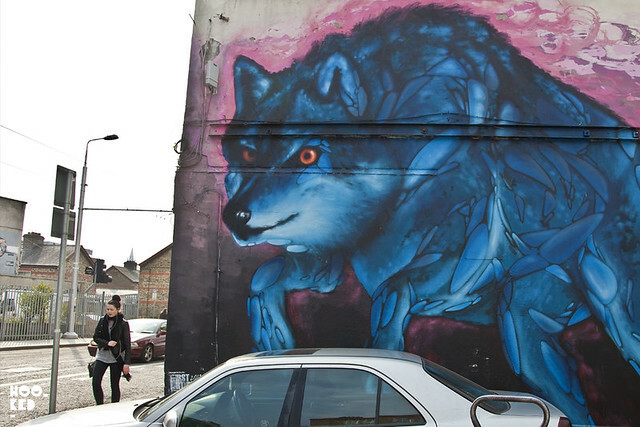 Hookedblog first discovered the work of Irish street artist James Earley back in 2012 while attending the Offset festival in the Irish capital. We were in Dublin to lead a discussion panel in OFFSET's second room with Patrick Miller and Patrick McNeil from NY street art collective FAILE along with Ji Lee a Communication Designer at Facebook, and a former designer and creative director at the Google Creative Lab. In between hosting the panel and checking out some of the other great speakers at the festival we managed to have a quick wander around the city to check out some of the art on the streets (covered here). One of the mural we found on our quick tour of the city pictured below was that of James Earley. 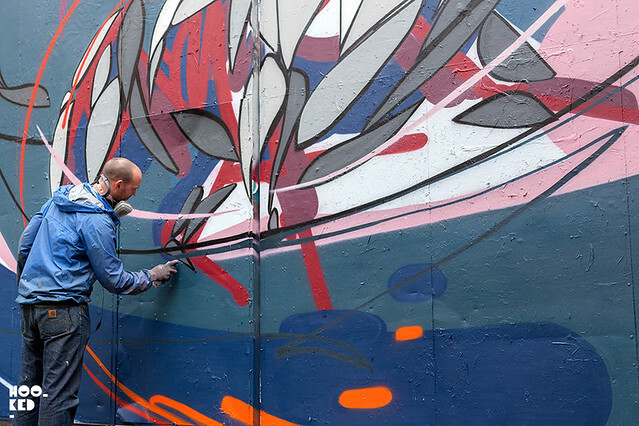 Earley was recently in touch and shared with us that he would be over in London for the May bank holiday weekend and planned to paint some spots during his visit. 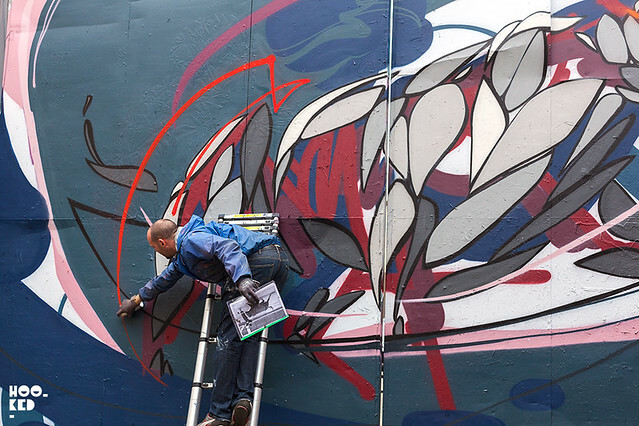 Hookedblog caught up with James Earley at work on both of the London murals he painted over the long weekend before he returned to Dublin. 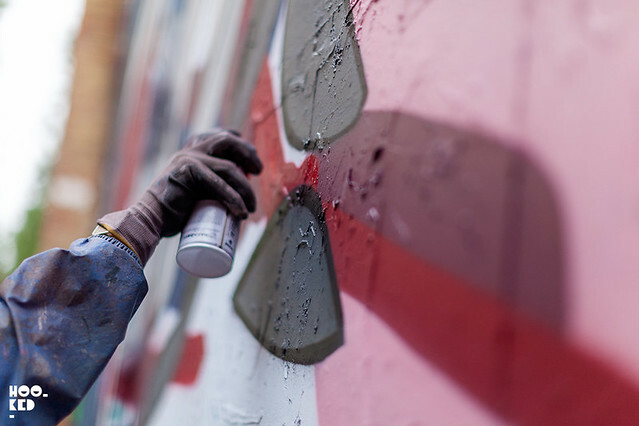 The first of the murals was painted over a number of days on the gates of the Old Truman brewery on Buxton Street just off Brick Lane. Featuring an impressive bull in motion this great new addition to the neighbourhood was delivered by the artist in his signature style. 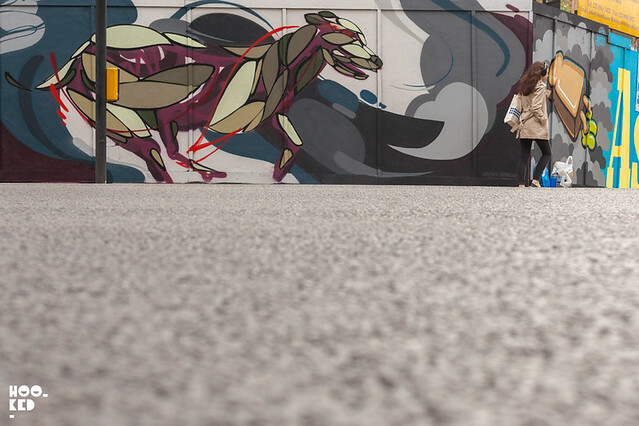 The second mural painted by Earley located on Great Eastern Street in Shoreditch features an Irish wolfhound again in full motion. 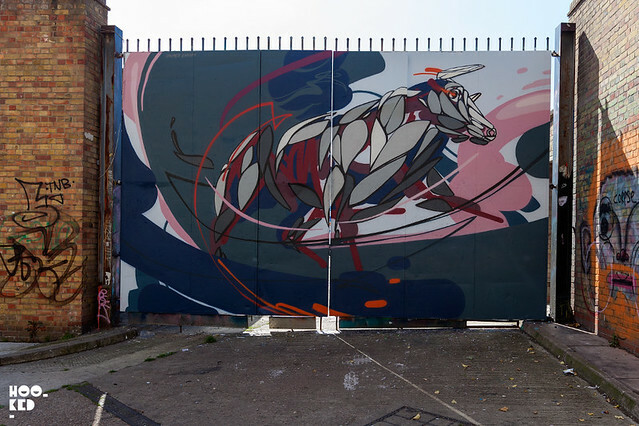 The finished bull mural on the Old Truman Brewery Gates, just off Brick Lane on Buxton Street. The artists second finished piece on this every changing holding on Great Eastern Street (possibly already painted over since we took these pictures). 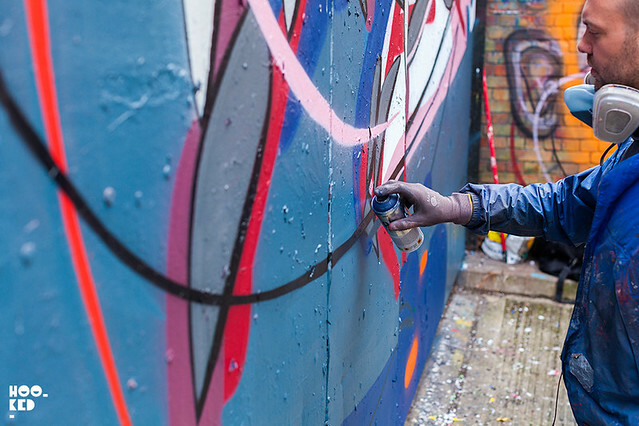 Earley is due to revisit London over the summer months so stayed tuned for more from this Irish artist.